Students participating in the Trans Action Task Force (TATF)—comprised of transgender, non-conforming and non-binary students—are responsible for advising NIU administrators on policies and practices that can be more inclusive for these students. Coming to the table with administrators since its 2016 inception, the TATF first presented the need for gender-inclusive restrooms. Now, more than 25 of these facilities reside on campus for anyone, regardless of their gender identity or expression. Recently the TATF worked side-by-side with administrators to make to some other less visible, but equally important, practices more inclusive. From a TATF recommendation, NIU students can now utilize the preferred/proper name option in MyNIU and also update their name on their NIU OneCard ID without incurring a fee. Any subsequent name changes will be charged. “We want students to have the opportunity to be authentic to who they are and be seen how they want to be seen when navigating NIU. Allowing students to change their name without being penalized gives them the freedom to display their proper identity,” says Holmes. Students who are in the process of medically transitioning are required by their healthcare professional to get their hormone levels checked on a regular basis. The TATF recognized the difficulty students faced for a simple blood draw. They often had to leave campus and take significant time to drive to their healthcare provider’s office for a quick laboratory appointment. Under advice from the TATF, and in partnership with NIU Health Services, students are now able to get their hormone levels checked through Health Services on campus. In addition, the cost is now included in their current Health Services fees. 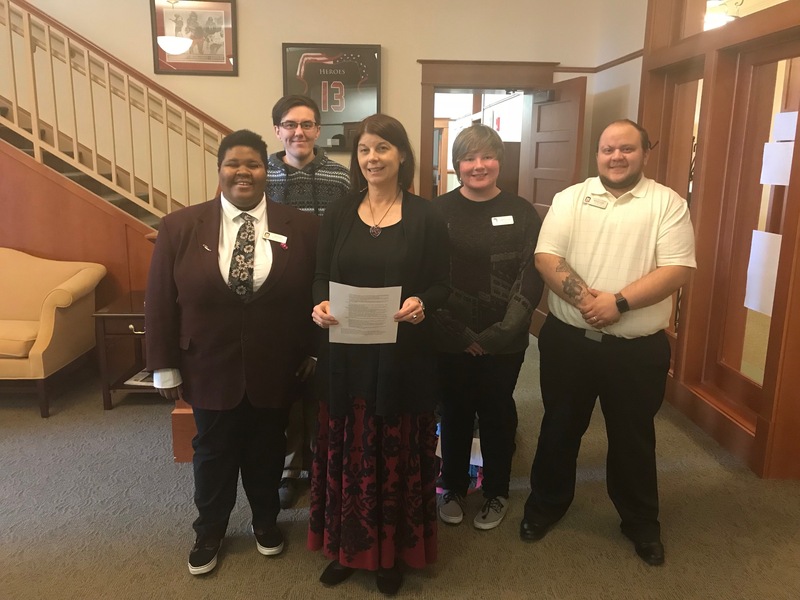 Facilitated by many students involved in the TATF, workshops were made available to NIU leadership presenting best practices that support the inclusion of transgender, gender non-conforming and non-binary students in the classroom. When students have direct interaction with leaders in the NIU community, voices are heard in a way that cannot be replicated by any training video or handout.